CHESTERTOWN, MD—Wade Foster of Warrenton, Va., was only concerned with his children’s safety when he requested a bus to transport his children to their school, miles from their home along a busy highway, in the early 1940s. But the school district ignored his request, despite the fact that the children of neighboring white families did have a bus. That prompted Foster to take decisive action against the injustice. Foster’s story, as recounted by one of his children, Dorothy Vowels, is the subject of a living-history conversation taking place on Oct. 22, at 5 p.m. in Hynson Lounge, Hodson Hall, on the Washington College campus, 300 Washington Ave. In “The Myth of Separate But Equal: Education in the Segregated South,” Vowels will discuss what happened to her father as a consequence of defending his children. The talk presents a glimpse into the struggle for equality as it happened family-by-family and skirmish-by-skirmish, finally culminating in the landmark 1954 Brown v Board of Ed. case. 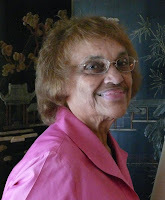 Dorothy Vowels currently lives in Dover, Del., where she is involved with the Bayhealth Medical Center and the Presbyterian Church of Dover. She has previously served as a representative to the Presbyterian General Assembly, as well as several terms on the Speer Trust, a Presbyterian Foundation that awards grants to organizations in Delaware and the Eastern Shore of Maryland that are working to improve their communities. Prior to her retirement, she worked with Kent General Hospital in Dover and served several years on the Bayhealth Foundation Board. She and her late husband, Milton Russell Vowels, lived the life of an Air Force family. They raised two children, Karen Earle and Susan Vowels, both of whom now have careers in education. Susan, who is an associate professor in the Business Management Department at Washington College, will be on stage with her mother for the Oct. 22 conversation. The event, which is free and open to the public, is presented by the Office of Multicultural Affairs and the Black Studies Program.